This monograph describes the background, conduct, and outcome of part of a long-term project of research into the fundamental processes of psychodynamics. It was first theorized and then shown empirically that such research can lead to the formulation of certain general laws and lawful patterns in psychodynamics. 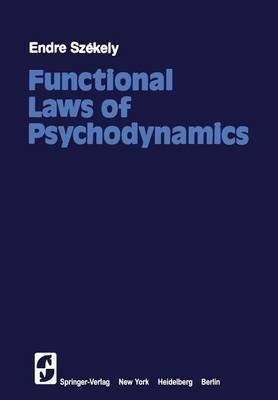 Stated at higher levels of conceptualization, these formulations enable us to explain systemati- cally the diverse configurations, effects, and intricacies of dynamic systems in psycho- logical functioning. At the same time, the research reported here was intended to con- tribute to ongoing efforts to secure a proper base for the study and management of intrapsychic, or inner functional, factors in health and illness. This research project has called for concerted inquiry into psychodynamics along a number of dimensions-theoretical, empirical, methodological, clinical, analytic, qualitative, quantitative, and statistical. The clinical programs required intensive inves- tigations, such as in-depth psychodiagnostic examination or psychotherapeutic treat- ment of individual patients as well as of nonpatient volunteers. The former were drawn from a large number of patients seen in various settings over several years, whereas the latter were selected from a group of university student volunteers.